China is arguably the most important engine of economic growth in the world. It’s the second largest economy in the world, and its GDP is growing in the high single-digit range. This makes it an incredible consumer of imported goods, especially commodity products which it needs to build out its infrastructure. 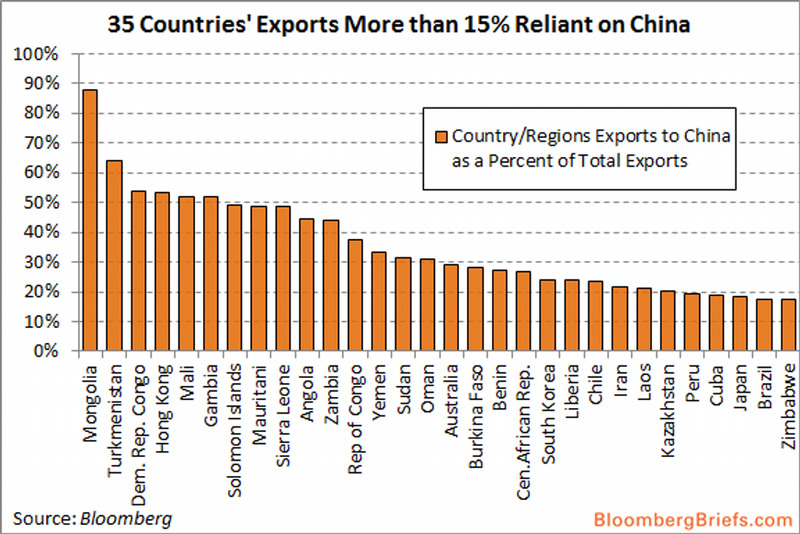 Some countries need rely on China more heavily than others. 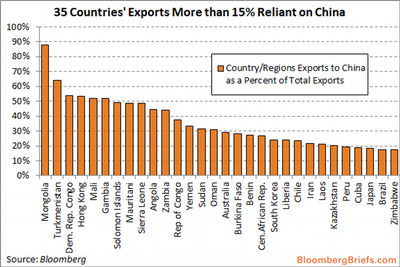 Bloomberg BRIEF economist Michael McDonough just tweeted this chart breaking down the countries whose export industries rely immensely on China.